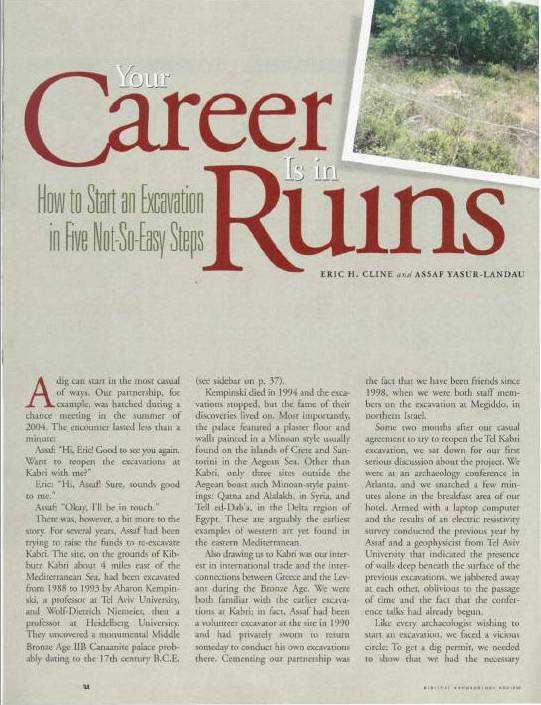 A. Yasur-Landau, E.H. Cline, and G.A. 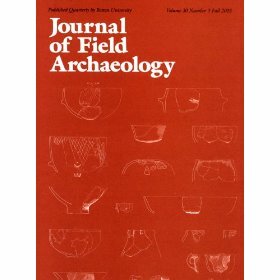 Pierce, “Middle Bronze Age Settlement Patterns in the Western Galilee, Israel,” Journal of Field Archaeology 33/1 (2008) 59-83. 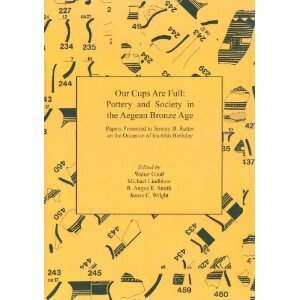 A. Yasur-Landau, E.H. Cline, and I. Samet, “Our Cups Overfloweth: ‘Kabri Goblets’ and Canaanite Feasts in the Middle Bronze Age Levant,” in Our Cups are Full. 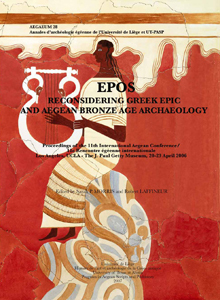 Pottery and Society in the Aegean Bronze Age: Papers Presented to Jeremy B. Rutter on the Occasion of his 65th Birthday, 382-92, W. Gauss, M. Lindblom, R.A.K. Smith, and J.C. Wright, eds. Oxford: Archaeopress, 2011. 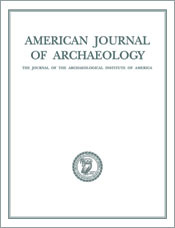 E.H. Cline, A. Yasur-Landau, and N. Goshen, “New Fragments of Aegean-Style Painted Plaster from Tel Kabri, Israel,” American Journal of Archaeology115/2 (2011) 245-261. A. Yasur-Landau, E.H. Cline, N. Goshen, N. Marom, and I. Samet, “An MB II Orthostat Building at Tel Kabri, Israel,” BASOR 367 (2012) 1-29. 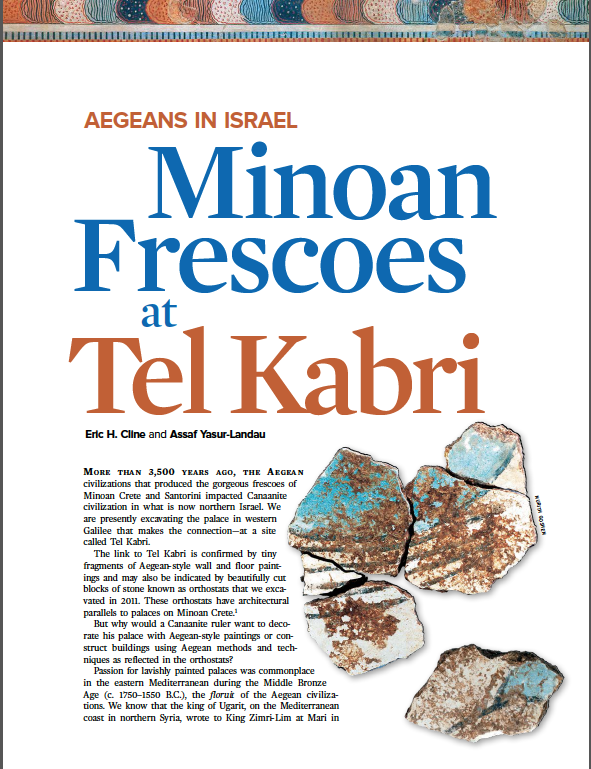 Eric H. Cline and Assaf Yasur-Landau, “Aegeans in Israel: Minoan Frescoes at Tel Kabri.” Biblical Archaeology Review 39/4 (July/August 2013) 37-44, 64, 66.